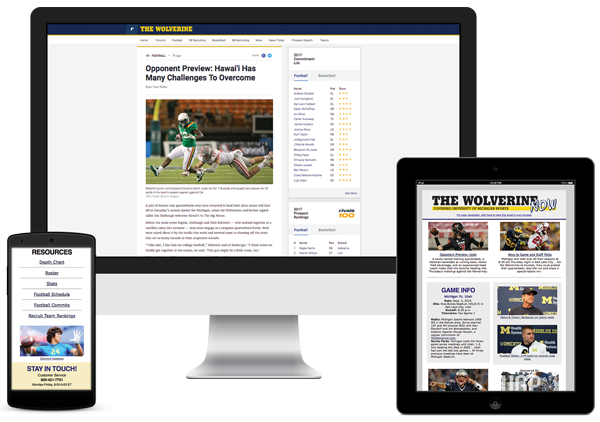 The Wolverine Now, a twice-weekly e-newsletter for subscribers of The Wolverine, has everything you need to know before and after the game! This online publication is INCLUDED with your subscription to The Wolverine! The Wolverine Now is posted on Thursdays (game previews) and Sundays (game reports) throughout the football season to deliver you up-to-date information in a timely manner. Freshman placekicker Jake Moody’s program-record six field goals booted Indiana out of Michigan Stadium with a 31-20 loss. At 9-1 overall and 7-0 in Big Ten play, Michigan will continue its quest for a Big Ten championship this weekend against Indiana. Michigan won by 35 as they went over, around and through the Scarlet Knights for their ninth straight win. No. 4 Michigan travels to New Jersey to face 1-8 Rutgers and continue on its path towards a Big Ten title.